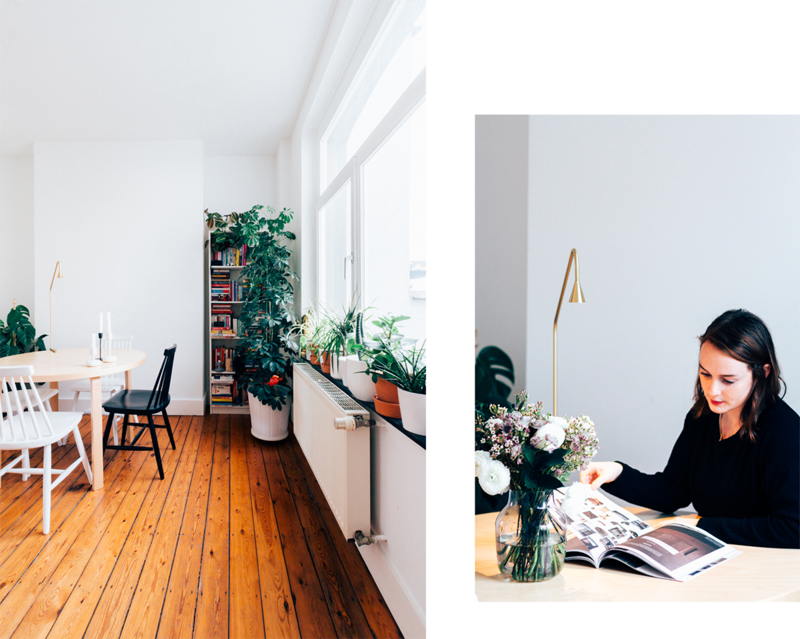 Those of you that spend some time on Instagram or Pinterest once in a while, have probably come across Hanna Moens. Her impeccable eye for aesthetics and her bright and airy photos filled with beautiful design have gathered quite a few fans, me included. We met when I did an internship at Baroness O., a design studio where until recently she was responsible for communication and content creating. Nowadays she’s freelancing as a copywriter in addition to her part time job in a library and enjoying her newfound free time. Posting pictures on Instagram is a hobby that got out of hand quite some time ago and she recently enrolled in a flower class, as she’s been arranging flowers for friends’ parties for quite a while.